Submitted photo Marley is a male boxer mix. His coloring is tan and black and he’s about 1 year old. Marley, like all shelter animals at GCAC, has been microchipped, vet-checked, neutered, given first shots and wormed. This fun pup is ready to be adopted by a loving individual or family. XENIA — Greene County Animal Control is open 9 a.m. to 6:30 p.m. Monday-Friday and 12-4 p.m. Saturday-Sunday at 641 Dayton-Xenia Road, Xenia. Potential adopters should visit at least one hour before closing to meet animals and complete adoption paperwork. The adoption fee for dogs is $135 which includes spay/neuter, microchip, first shots and worming, vet exam and dog license. Adoption fee for cats is $90 which includes spay/neuter, microchip, first shots and worming and vet exam. 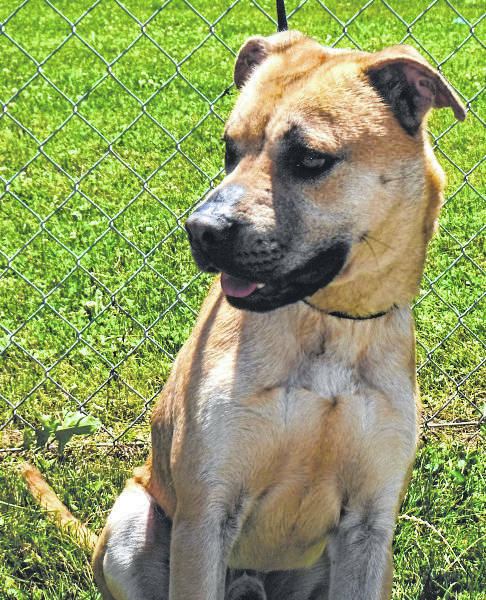 https://www.xeniagazette.com/wp-content/uploads/sites/32/2018/06/web1_Marley.jpgSubmitted photo Marley is a male boxer mix. His coloring is tan and black and he’s about 1 year old. Marley, like all shelter animals at GCAC, has been microchipped, vet-checked, neutered, given first shots and wormed. This fun pup is ready to be adopted by a loving individual or family.